Alyssa and Mikey are obsessed with Harry Potter as of late. Ever since staying at their Grandma Sumko's they just can't get enough. So they were beyond excited when one of their very best friends invited them to his Harry Potter birthday party. Their Mom went above and beyond....outdoing herself completely. My kids were thrilled beyond measure to attend the festivities. 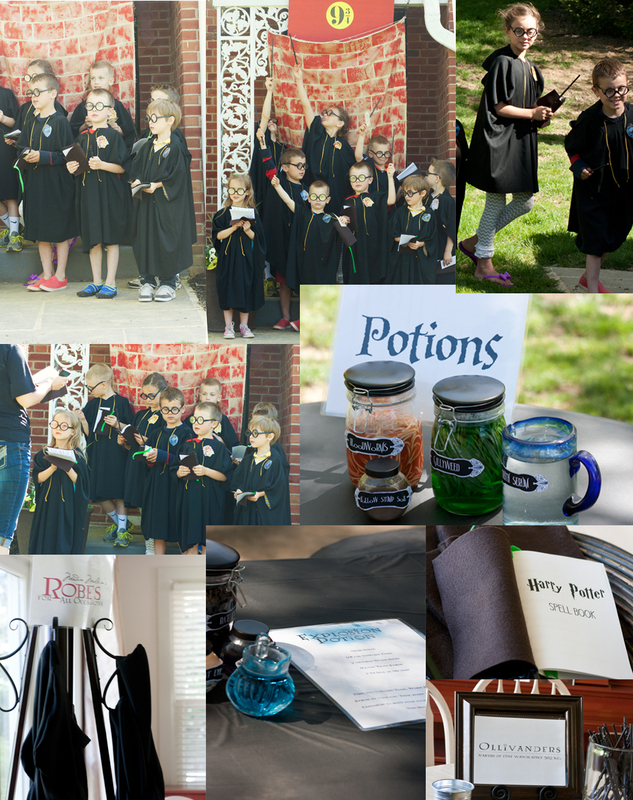 She thought of everything.....capes, wands, glasses, potions, spells, games. My kids were in heaven! That is so creative and fun!